The versatile Equotip 550 Leeb Portable Hardness Tester is designed for on-site testing of heavy, large or installed parts. This package includes the Equotip 550 touch screen unit and a general purpose Type D Leeb Impact Device as standard. Calibration services are also available from Johnson & Allen’s calibration department. The Type D Leeb Impact Device makes hardness measurements using the dynamic rebound testing method according to Leeb hardness test principle which is based on the dynamic (rebound) method. An impact body with a hard metal test tip is propelled by spring force against the surface of the test piece. Surface deformation takes place when the impact body hits the test surface, which results in loss of kinetic energy. This energy loss is detected by a comparison of velocities vi and vr when the impact body is at a precise distance from the surface for both the impact and rebound phase of the test, respectively. Velocities are measured using a permanent magnet in the impact body that generates an induction voltage in the coil which is precisely positioned in the impact device. The detected voltage is proportional to the velocity of the impact body. Signal processing is then providing the hardness reading. 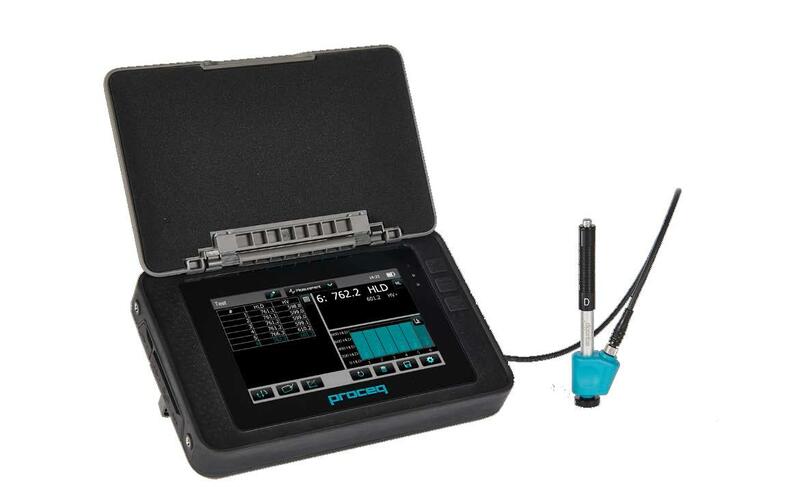 The Equotip 550 enables portable hardness inspection of almost any object, polished parts and heat-treated surfaces. The Equotip 550 features rugged touchscreen designed to provide an exceptional user experience and best possible measuring and analysis, with enhanced software features and analysis functions. The Equotip 550 allows operators to easily create pdf reports on-site directly using the instrument and export to a USB stick. The reports can be fully configured and enhanced with customer specific information and company logo. 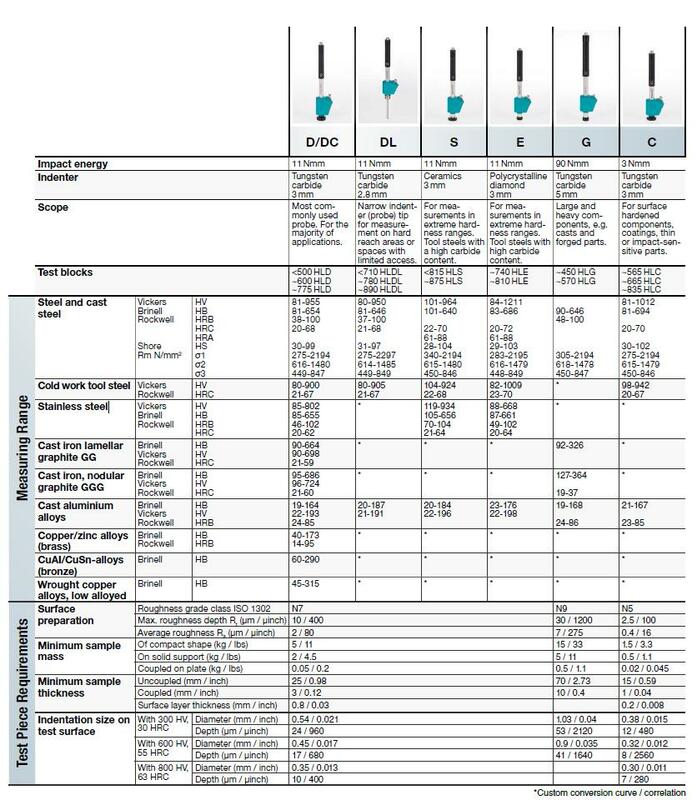 The Equotip 550 is compatible with the full range of Proceq Leeb probes and Rockwel probes which available upon request. An extensive range of precise hardness test blocks available for each impact device with different hardness levels for regular verification.